Greg Grandchamp lives in Colorado Springs, CO with his wife of 30 years. He and Norma have four adult children, and five grandkids who they adore, and love to RV in the beautiful Rocky Mountains. 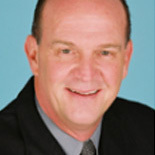 Greg is a senior executive in the mortgage industry, and brings his faith into his business world. He is an accomplished public speaker and trainer, but mostly loves teaching the Bible in a way that touches hearts.